It was a nice day and I decided to go detecting up higher where is was quieter. 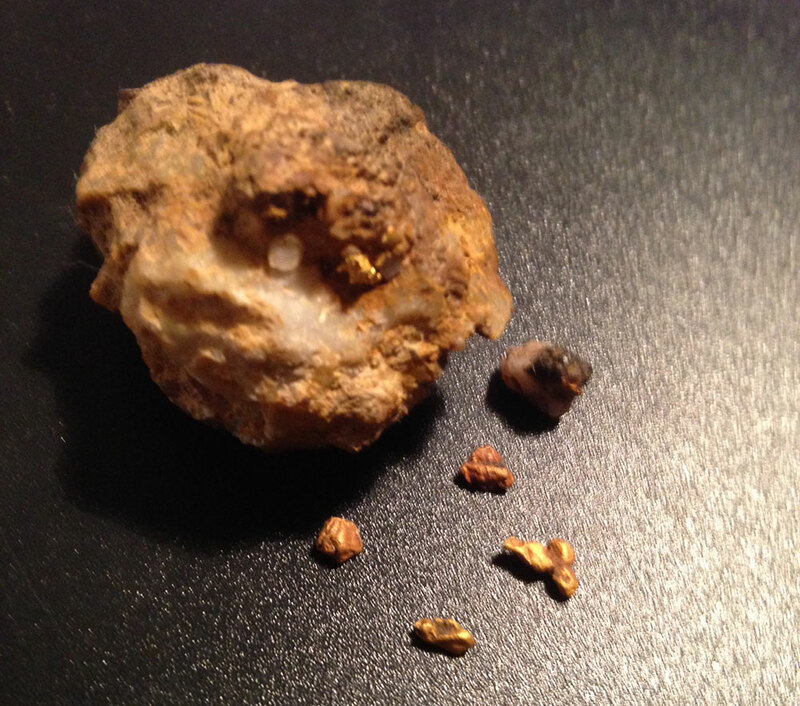 I was walking around slowly with my Minelab GPX 4500 metal detector and started to pull up nuggets out of a small area, that I had been working at over a few days. The nuggets weighed a total of 12 grams with 16 in total. The biggest nugget weighed in at 6.9 grams and was only 3 inches down. I’m thinking about going back with my larger coil, due to my great success with these little ones. I recently came across some info on a long abandoned gold mining camp, or “village” as it was listed. It was hidden away behind some private property, and there was almost no reference to it in modern publications and maps that I looked at. It was a long hike in on foot and when I first went to investigate it, without a detector, I found what I counted to be at least the remains of 15 or so miners huts. It didnt look like it had been detected before as there were many old bottles and stoneware items laying on the surface, so I was excited to race home and kit up for the exploration. After an hour or so detecting I was surprised at how little amount of targets were to be found, even though it had not been detected. Some huts must have been occupied until at least 1905, but most items that I could date where from the 1850’s-60’s as it was originally a gold rush settlement. 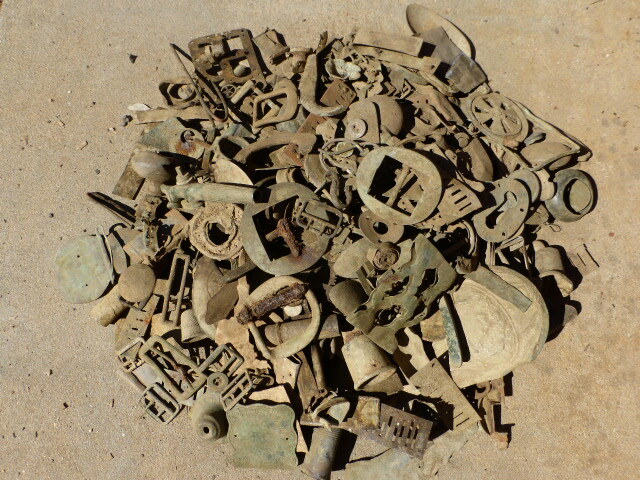 There’s about 10kg worth of metal objects collected, but no gold items, and very little silver too!! Very surprising finds indeed, not what I expected at all. 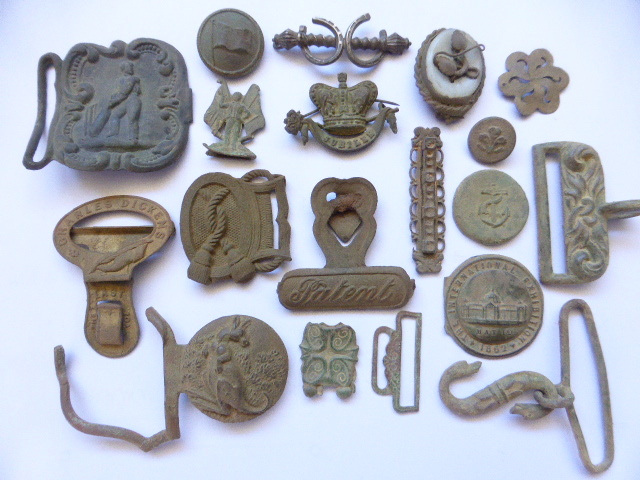 The nicer objects and the 50 odd coins are shown from the village. It must have been very poor and/or the settlers had and lost very little in their stay there. 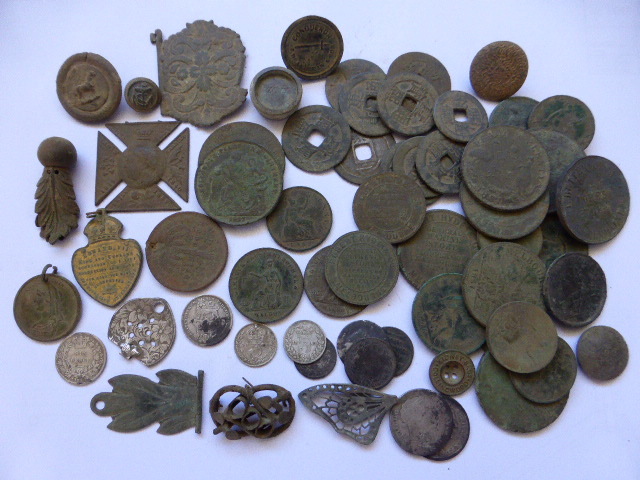 I had the afternoon off work so some time with the Minelab CTX 3030 was in order. We had just had some storms around Melbourne so the chance of some erosion on the beach was possible. I reset the detector to the factory pre-sets, did a noise cancel, put it into beach mode and turned on the target trace. I find the target trace to be very helpful in giving more information about the target helping me to decide whether to dig it or not. If there is a streaky pattern on the screen the target is probably junk. It was low tide so some sand flats were exposed. I detected some wet and dry sand for a while. The first coin (20c) came up on the dry sand after about 15 minutes. I moved to another area where the sand was a bit steeper and a few rocks were poking through the sand. I detected a 5c and 2c coin close together. The beach was very narrow because of a bluestone wall. I moved to another dry sand area, where the beach cleaning machine operates, near a rubbish bin. I had found some coins here in the past. The beach cleaning machine turns around here. A couple of coins were found on the dry sand. At the water’s edge the sand had been moved around quite a bit but there were lots of light material (aluminium) to be detected. 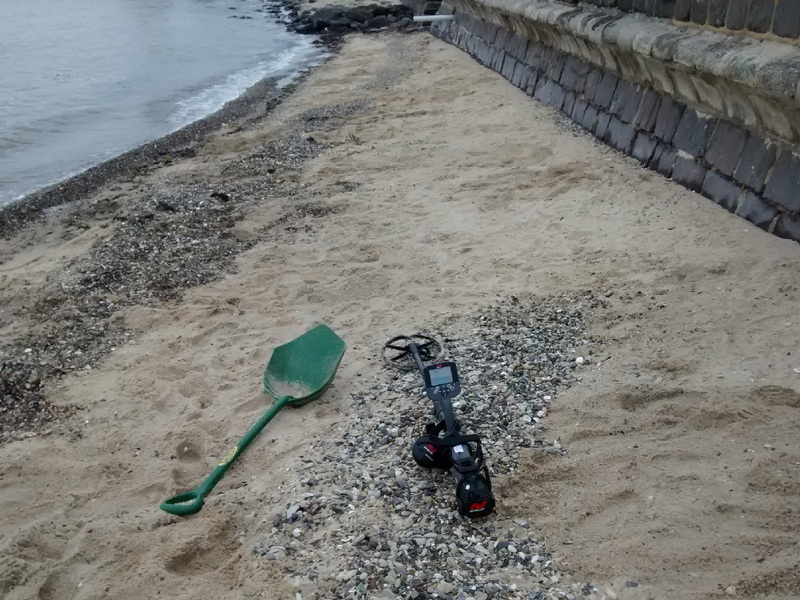 I moved back to the narrow strip of sand and started detecting a bit more thoroughly. I found a couple of sinkers and thought, this is better, there are some heavier targets here. Along this narrow strip 1 and 2 cents coins started coming up and then a $1 and a couple of $2 coins. A penny also came to light (1949 after cleaning) and what looked like the outer part of an old watch and a cheap ring was also found. It was great fun for 3 hours digging up 25 coins for $7, 4 sinkers, part of a watch and a ring. I learnt from today that if I start finding heavy targets spend more time around that area. 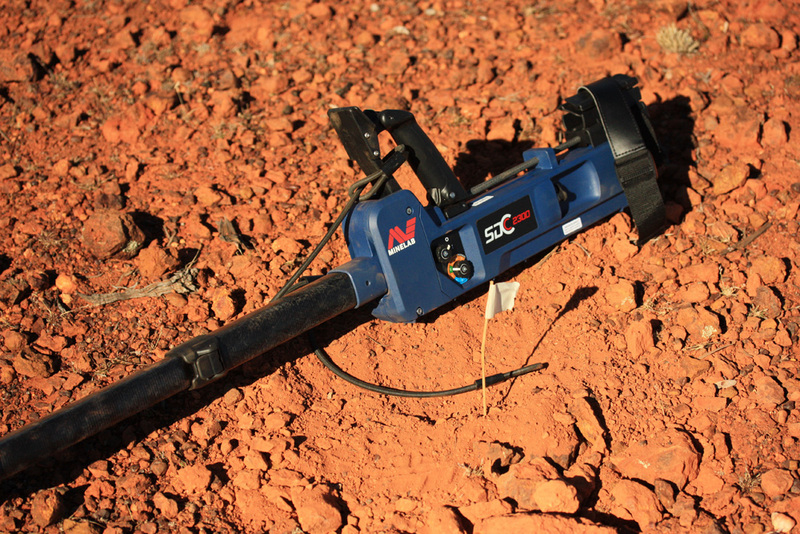 After having a couple of months away, I was excited to go do some relic hunting with the Minelab CTX 3030 in Central Victoria. I chose a heavily mined area where I had found some interesting gold rush relics and early coins before. This was the site of a major alluvial gold rush in the early 1850’s, and which attracted gold seekers from many parts of the world. 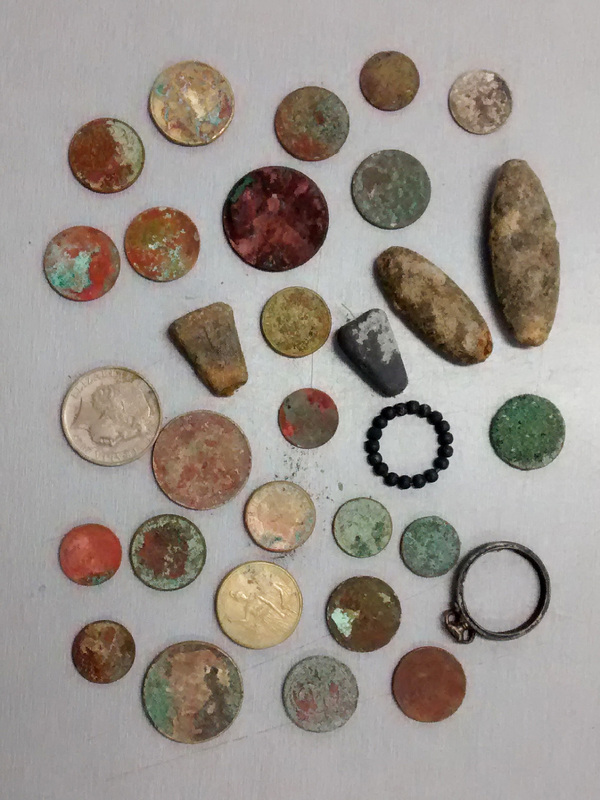 I was detecting right beside where I had been before, finding the usual miners buttons, buckles and a few English pennies dating from the early 1800’s. I got a signal that suggested a silver coin. 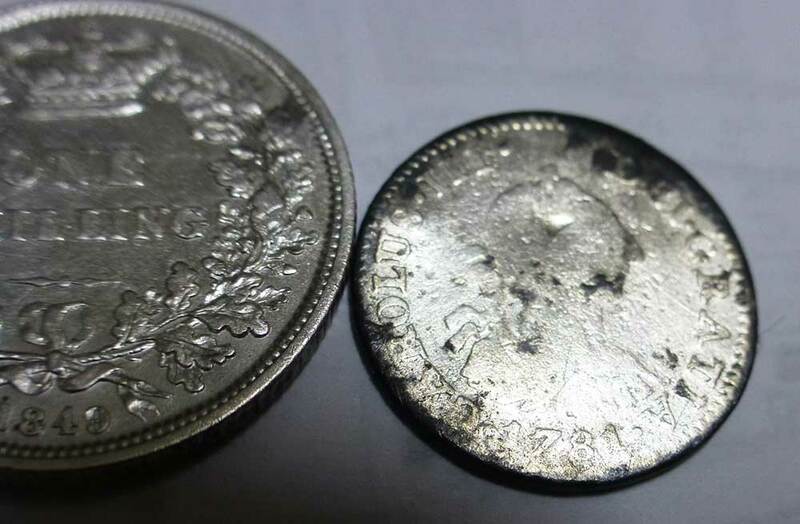 After digging it out I thought “another English sixpence” until close inspection revealed something different than I’d found before. I always look at the dates, and I was shocked to read 1781 on this one. After some more detecting and a few more finds, I returned home to research the strange coin I’d dug up. I found that its a Spanish 1/2 Reale, Minted in Mexico City and this type was used in the Spanish colonies of South America until 1857. Its not a very rare or valuable coin, particularly in such worn, circulated condition, but I would think its a rare one to be dug up in Australia. One can only imagine where this coin has been in its long life, and the journeys that it and its owner had while coming to the Australian gold rush. 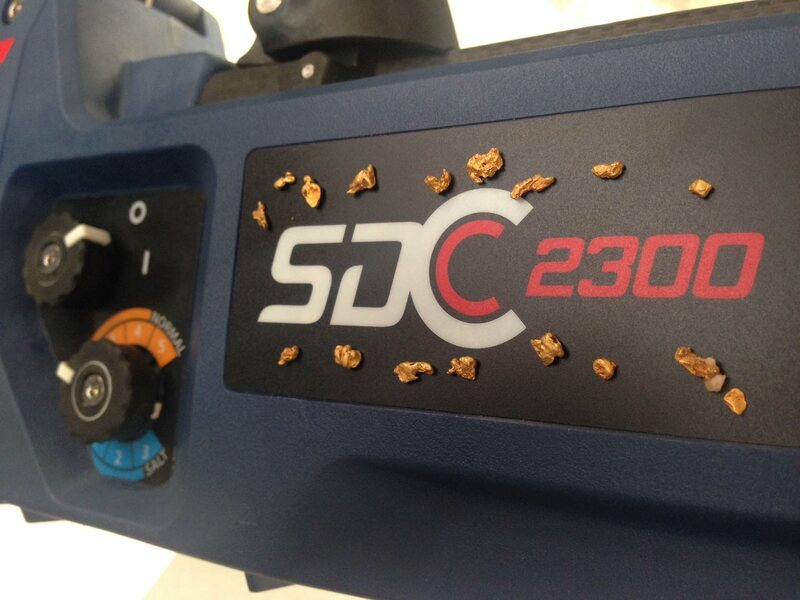 A further update of one of our guys from BendigoGold and his discoveries with the New Minelab SDC 2300 Metal Detector…..; Does the SDC do what it’s designed to do ………… find small gold better than any other PI detector in thrashed ground ??? Yes !!! I have now been out with the SDC for approximately 16 hours, and have found 78 nuggets for 6.5 grams !!! And that’s just from three of my old patches ………. with many more to go !!! 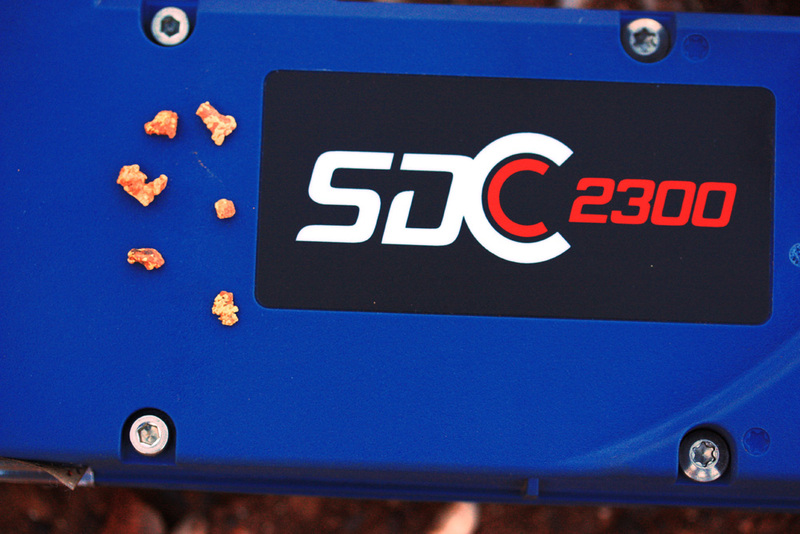 Minelab SDC 2300 Metal Detector Finds Gold! 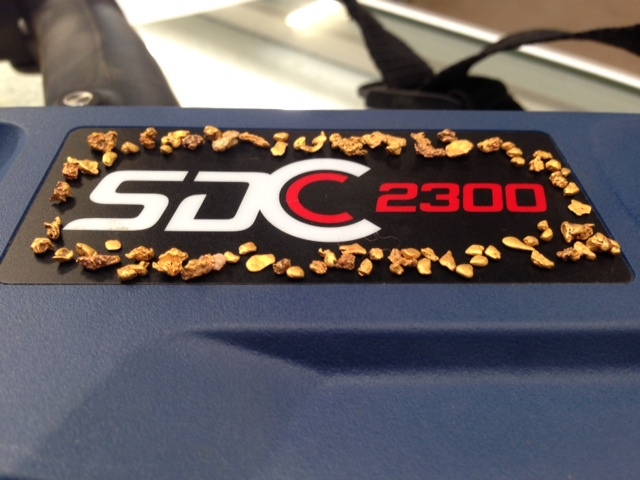 One of the boys from BendigoGold has had great success with his new Minelab SDC 2300 metal detector. Minelab GPX 5000 & Nugget Finder 12″x7″ Coil – What a Combination! 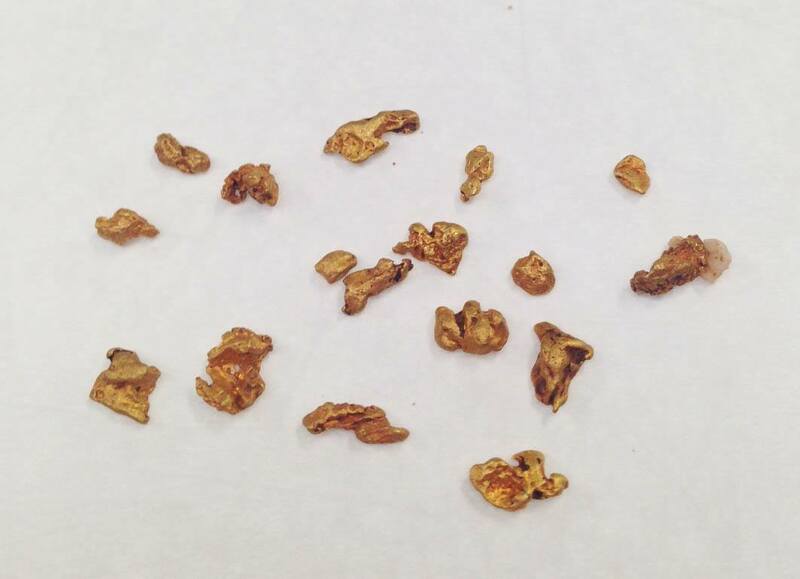 A customer recently came into the BendigoGold store to show us some beautiful gold nuggets he had found with his Minelab GPX 5000 metal detector. On the GPX 5000 he was running a Nugget Finder 12″ x 7″ coil. 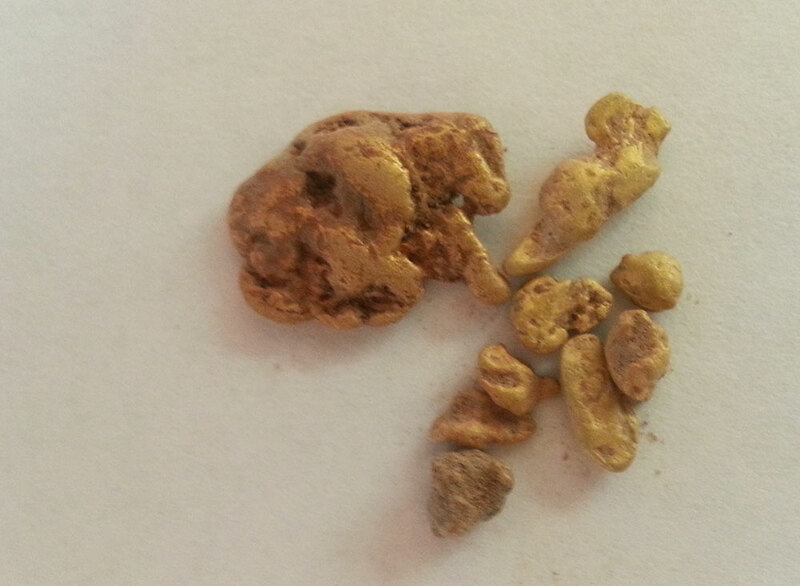 The largest piece was found at a depth of about 5 inches and the smaller ones were found about an inch down. “I detected over a thrashed patch for about 2 ½ hours, digging numerous targets that had been missed by previous detector operators. 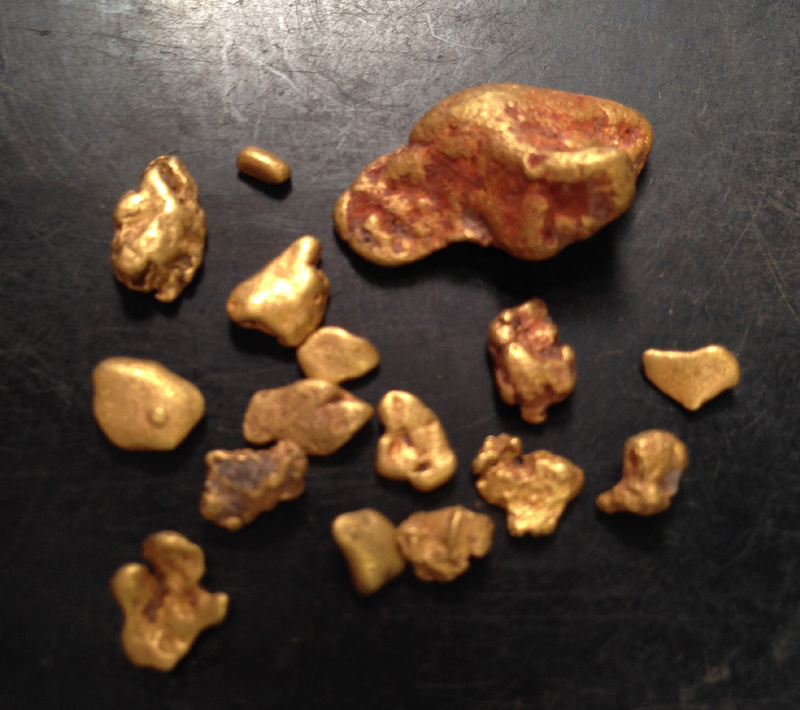 Six of these targets being gold, weighing all up 1.5 grams. Two of the gold targets were quart specimens which may lead me to a quartes leader but I’ll save that for another time when I get time to investigate this further. The area we chose to try out our new Minelab SDC 2300 detector in the W.A. 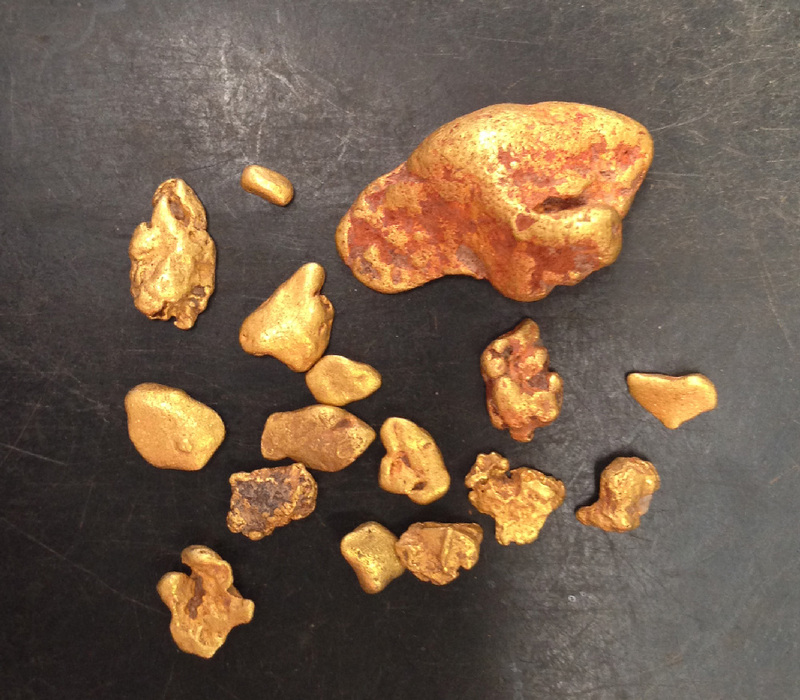 goldfields was freshly chained when we first detected it three years ago. The chain man left about sixty small pieces for us at that stage. We recovered a few more pieces the following year, and just four more this winter. It was covered with hot rocks, both large and small. We created some flags from wooden skewers and white tape, to mark all targets identified by the SDC 2300. 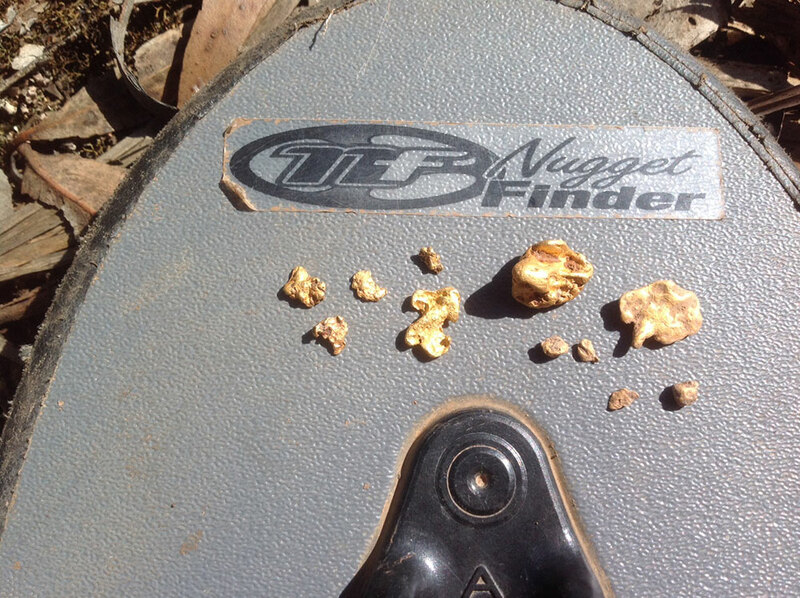 These eight spots were then detected with the GPX 5000, in Fine Gold setting, and using a 12 x 7” Nugget Finder coil (the smallest we have). 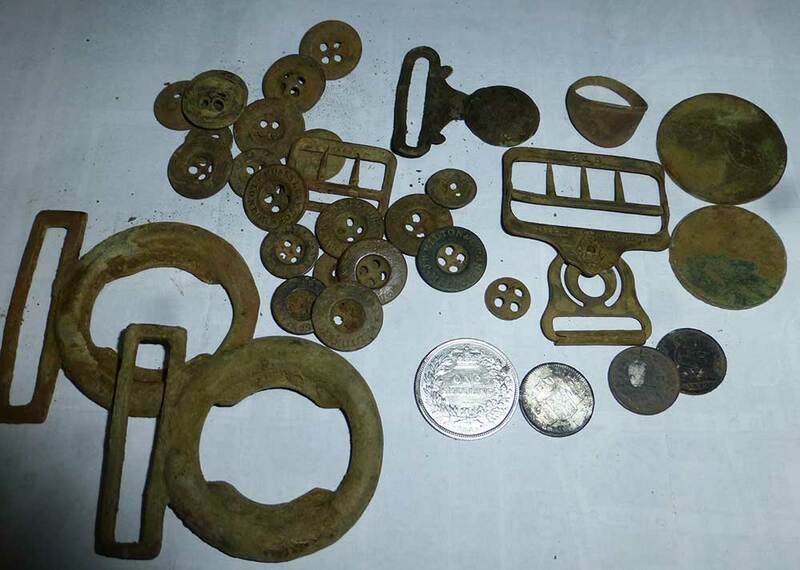 Three targets were small junk items (tin, tack and wire), all easily recognized by the GPX. The other five were gold, three of which could not be heard, and the other two much quieter and harder to identify, than with the SDC 2300. Notably, in the three hours detecting here, the GPX 5000 did not have any luck. The largest nugget, 0.6 grams, was only three inches deep, but masked by cricket ball sized black hot rocks, and was not picked out by the GPX until the rocks were kicked away, but obvious to the SDC 2300. 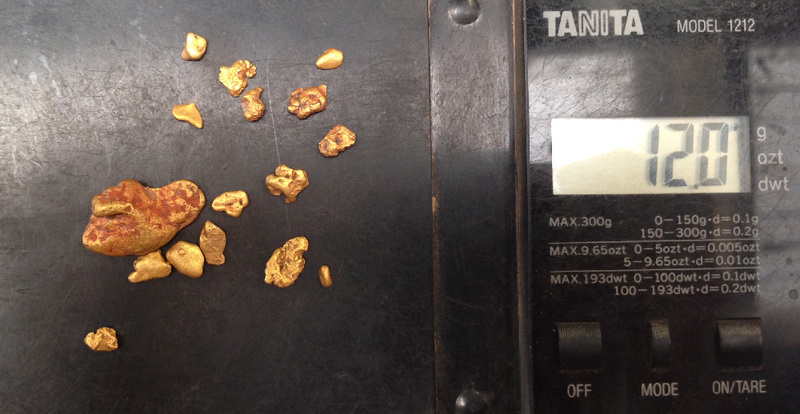 The total weight for the 5 pieces was 1.5 grams. This new tool in the prospecting arsenal will not replace our GPX 5000 detectors, but allow us to retrieve a little more colour from worked out areas, particularly in hot and variable ground. 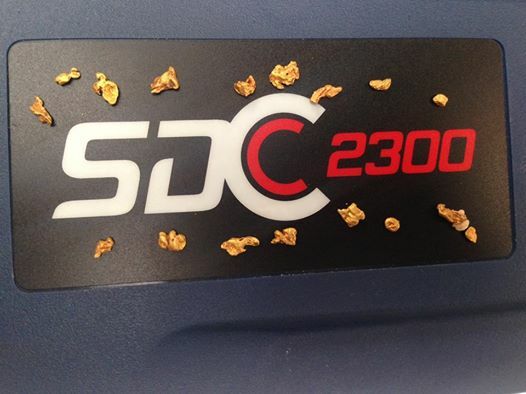 After a very promising first day with the SDC 2300, we are looking forward to trying it on a number of other areas that have produced multiple small nuggets both here in W.A. and back home in Victoria.